Can Blood Pregnancy Tests Be Wrong? Blood pregnancy tests can be wrong if they are taken too early. According to WebMD, blood pregnancy tests effectively detect pregnancy six to eight days after ovulation. Therefore, taking a blood pregnancy test earlier than this might yield false negative results. Blood pregnancy tests are more accurate than urine pregnancy tests. There are two types of blood pregnancy tests: the qualitative hCG test and the quantitative hCG test. The qualitative test checks for the presence of hCG in the blood, while the quantitative test determines the precise amount of hCG, according to WomensHealth.gov. According to Better Health Channel, these blood tests are 99 percent accurate. Urine home pregnancy tests have a lower accuracy rate of 97 percent, as specified by WebMD. To achieve the most accurate result, WebMD recommends waiting at least a week after a missed period before taking any pregnancy test. 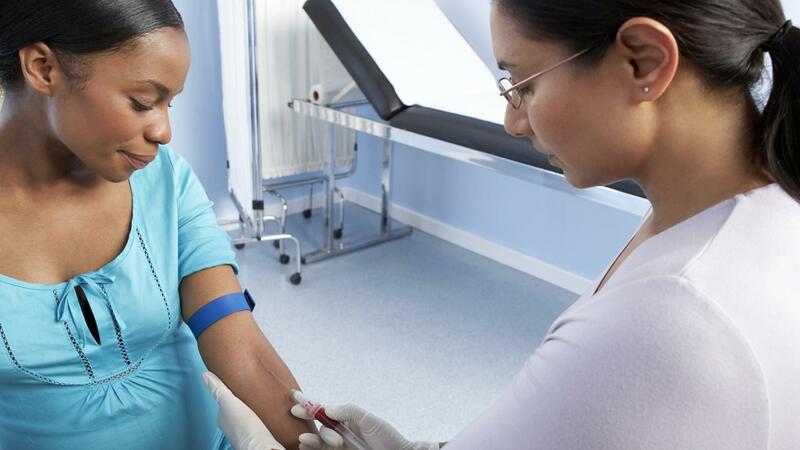 What Are Blood Tests Everyone in Their 40's Should Get Regularly?